Sock It To Me offers you a wide selection of funky women's socks in new fun colors! 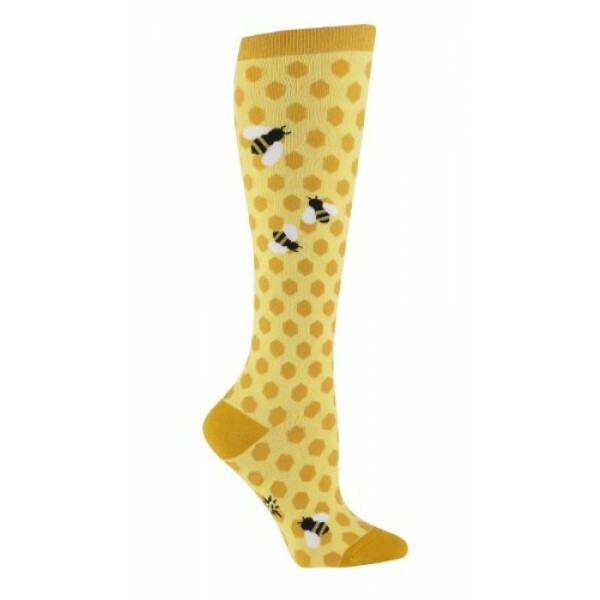 This fun pair of bee-themed knee socks is bright and comfortable to wear. These 75% cotton, 20% polyester, 5% spandex socks come in one size, which fits most women's shoe sizes 5 - 10.